Indianapolis may not have a food scene that can rival Chicago or New York City. However, it's growing and more great restaurants and bars are popping up all throughout the city. Here are ten great reasons why the city appeals to foodies. Serving a number of great drinks, the Hotel Tango distillery offers a rustic type of place with beautiful brick walls and a stone fire place. It's a great place for a drink with choices, such as the Gunsmoke Old Fashioned. It has been compared to the North Market in Columbus, Ohio or the Pike Place Market in Seattle. 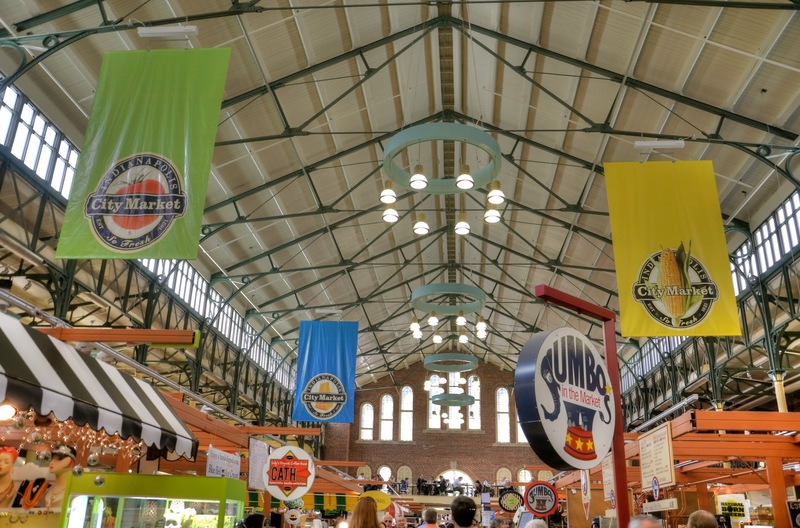 The Indianapolis City Market provides a great food hall in the city. It's long been a top place to go and has evolved into a place full of incredible smells, tastes and dishes all throughout. Many restaurants and vendors have opened up here to provide foodies with something unique. Found on the lobby level of the Le Meridien Hotel in Downtown Indy, Spoke & Steele provides many ambitious drinks. This isn't the place for your boring classics. Instead, you'll find unique drinks served in elegant glassware, all throughout the menu. Tinker Street is found in a Queen Anne-style home and provides a unique dining experience. The dishes are rather eclectic with options, such as miso broiled oysters, quinoa-studded falafel and more. They also provide a good wine list and plenty of great desserts. Nothing like the typical meat-and-potatoes restaurants most know the Midwest for, Ezra's Enlightened Cafe provides great vegan dishes, smoothies and baked good. It's a place for fresh dishes made from local ingredients with all kinds of great choices. The Buddha Bowl is one of the top choices served with honeyed kale, organic greens, fermented vegetables, raw falafel and carrots. Locally grown ingredients, this year-round farmer's market provides some of the best in-season produce and so much more. The menu here rotates with options, such as free-range chicken, pulled ort and more. Of course, the sugar cream pie is a staple here and one everyone should try. A newer choice in Indianapolis, Garden Table provides an all-day eatery with pressed juices, vegetal dinners and so much more. It's a great place for the vegan and vegetarian foodies looking to try something new. It's a very unique option, but Flat12 Bierwerks has Smoking Goose on the beer menu, which is one of the best you'll find. It's a tasty place to get a brew and provides some of the top options in the entire state. They usually have some limited releases available and even serve up noncarbonated brews. If you want to be pleasantly surprised, head to Love Handle. This spot provides a sandwich shop unlike anything you'll find elsewhere. The Angel Crusto is one of the top choices and many other great choices are found on their menu. Bluebeard was one of the restaurants starting the food craze in Indianapolis. It's a seasonal choice using ingredients from local farms and purveyors. The menu changes regularly and they do provide a number of great cocktails. There are several other great reasons why foodies love Indianapolis. It may not be on par with the big cities yet, but for a second-tier city, Indy has become one of the most popular choices for foodies to enjoy.